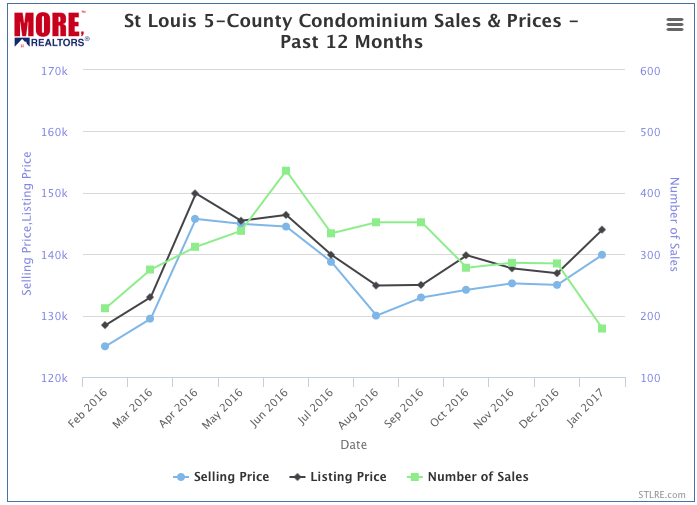 The condo market in the St Louis area is doing well with condo’s that sold in the past 12 months selling in a median time of just 27 days in the 5-County St Louis Core market. As the chart below shows, the median price for condo’s sold in the 5-county core market during this period went from $125,000 back in February 2016 to $139,500 in January 2017. There is currently a 3.3 month supply of condominiums for sale in the this market. 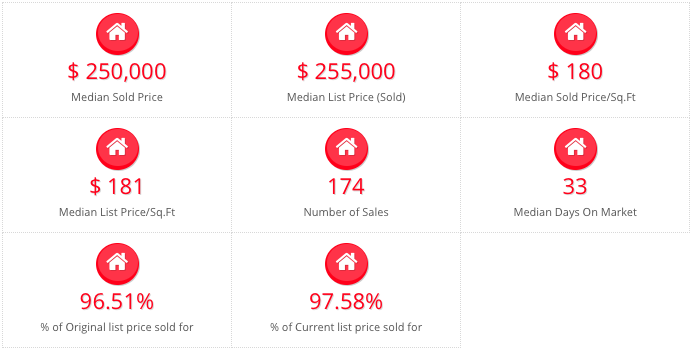 As the table below shows, condominiums in Clayton that sold in the past 12 months sold in a median time of just 21 days on the market, at a median price of $205 per square foot and sold for a median of 97.26% of the current list price at the time of sale. Chesterfield Condominiums sold in the past 12 months sold in a median time of 30 days for a median price of $146 per square foot. Not shown in the table below (however available in the complete data if you click on it) is the active listing data which shows there is currently about a 3 month supply of condos for sale in Chesterfield at a median price of $162 per square foot. Central West End Condominiums sold in the past 12 months sold in a median time of 33 days for a median price of $180 per square foot. 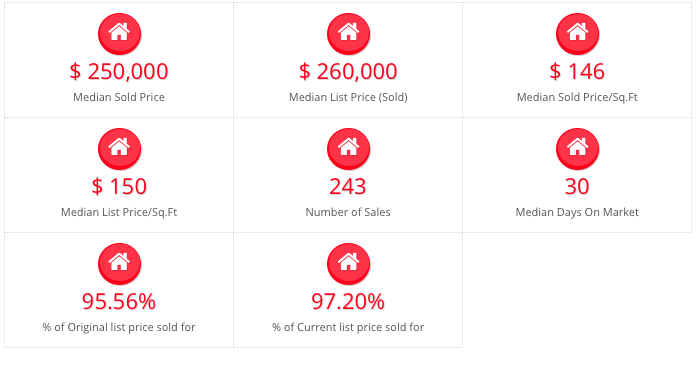 Currently, there is over a 7 month supply of condo’s for sale in the Central West End, with a median asking price of $201 per square foot and the median time on market of current listings is 99 days. Find The Value Of Your Condo In Under A Minute!